Medtronic Recruitment 2019: Are you dreaming to work in Medtronic. Good chance for those aspirants in the form of the Medtronic Recruitment. The recruiters are looking for B.E and B.Tech Graduates for Medtronic Field Sales Trainee Jobs. So. interested candidates can use this information and apply for Medtronic Jobs. Accordingly, we had given the Online Registration link at the end of the page to help the candidates. Kindly, check the requirements, roles, and responsibilities of the Job role and hence apply through Online. Scroll down for detailed information. 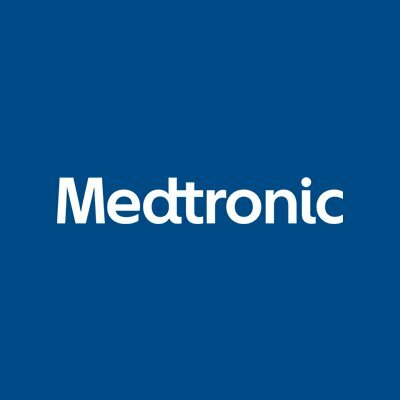 Sales Trainees will play a critical role in achieving sales revenue through generating orders through clinical/operating room selling of the Medtronic products. Sales Trainees can expect to gain a broad knowledge of Medtronic’s therapies, sales, business development, and application functions and a detailed understanding of the role these functions play in meeting company objectives. At the end of the training period, the Sales trainee will take up a full-time role in their respective base location. Trainees will go through intensive technical training on our therapies and products. Trainees will be responsible for demonstrating proficiency in product and therapy knowledge. Organizing CME’s and other marketing activities as approved by the marketing team in conjunction with the Regional Managers. Timely reporting of weekly reports and trackers for focus products. Take the initiative and be a self-starter. Trainees will receive orientation on effective engagement of healthcare practitioners both in the operation theatre and chamber setting. Trainees will be responsible for product adoption using selling & market development skills. Sales trainee position requires excellent written and verbal communication skills to communicate effectively with key stakeholders (Colleagues, supervisors, healthcare practitioners). Demonstrates integrity and recognized as a role model by their peers and manager. Highly optimistic and indomitable spirit. Strong learning agility and problem-solving skills. Medtronic plc is the world’s largest medical device company that generates the majority of its sales and profits from the U.S. healthcare system but is headquartered on the island of Ireland for tax purposes. Medtronic has an operational and executive headquarters in Fridley, Minnesota in the U.S. In 2015, Medtronic acquired Irish–tax registered Covidien (a U.S. tax inversion to Ireland from 2007), in the largest U.S. corporate tax inversion in history, which enabled Medtronic to move its legal registration from the U.S. to Ireland. Medtronic operates in 140 countries and employs over 86,000 people. First, click on the below given link. Then, you will find the page of Online Registration for Medtronic Jobs. Once again check all the details and click on the Apply for Job button present on that page. Fill all the required personal and technical details. Upload your latest updated resume. Hope the information provided on this page is useful to all the aspirants. Keep on visiting our website Freshers Now, for similar information. Thank You!! !